For a long time my biggest fear was makeup with a dewy or glowy finish. I would just hear the words "gives a radiant glow" and run the other way. I had been conditioned into thinking that only mattifying makeup was meant for oily/combo skin types, taught to fear even a little shine coming through as the day wore on and believed all luminous makeup was for everyone else. I was the same with my skincare growing up but had an epiphany in that respect although for some reason it's taken me another age to realise this when it comes to makeup. Whilst I still cannot go without a mattifying primer in some areas or a blotting powder completely, I have grown to embrace my skin and the wonderful way it reacts with makeup. It's all about using the right products in the right way so I'm currently ditching the matte on matte (on matte) looks and pairing metallic eyes with a luminous base to make the most of my natural dewiness. And I'm loving it! I'm finally able to enjoy the glowy look without fearing sporting a greasy look because it is possible. Some people love them, some people hate them. I can't wear makeup effectively without them. 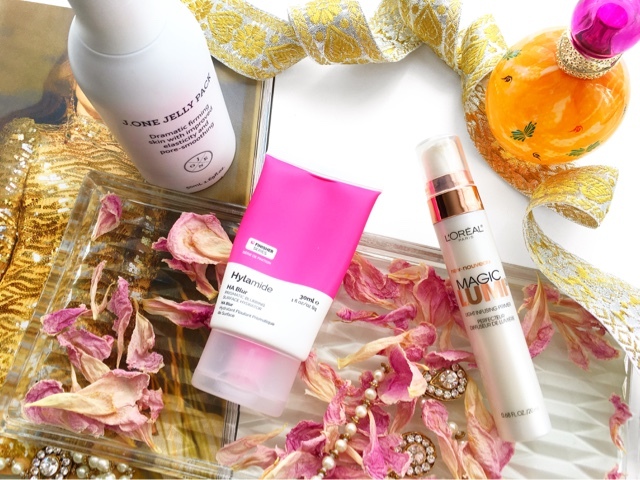 But which primers should you go for when you have a severely oily t-zone, with open pores but you also want to look like you're glowing from within? Well, I've got a few options. If I'm using a dewy finish product then I need to minimise the appearance of my pores and make sure I have something that will keep my makeup in tact. I use Hylamide HA Blur on my t-zone to fill and smooth the pores while keeping the area as matte as possible. Alongside this I apply J.One Jelly Pack all over my face which doesn't do much for my pores unfortunately nor does it control my oils but it is packed full of skincare benefits and firms and plumps the skin creating the perfect base. It is a glue for makeup like nothing else. I know that dewy finish products won't last on my natural skin for very long without this primer which literally holds onto the makeup all day! The trick with this product is to pat it onto the skin; if you try to rub it in, it won't move around the face enough. If I opt for a more matte base then I need something radiant underneath to create the illusion of a glowing complexion. I really enjoy L'Oreal Lumi Magique Primer for just such a purpose. This white liquid melts into the skin leaving a light reflecting veil of a sheen that peeks through wonderfully when wearing a more full coverage foundation. You can use this alone of course should you choose to, or use it on certain areas to emphasise a highlighted look. This is where I've really stepped out of my comfort zone, allowing myself to enjoy non-matte finish foundations fully. Before I would use a mattifying primer and then lock everything in place with powder all over my face. Now I've learnt to embrace the luminous finish of other foundations and also the shine that undoubtedly occurs thanks to my natural skin. Instead of running to hide all the shine, I've started to see it as part of the look and it's been a revelation. Charlotte Tilbury Light Wonder Foundation* on the surface is everything I would generally avoid, but I had a sample of this in my stash, tried it, and fell in love instantly. There's something so beautiful about how it sits on the skin and the glowy finish that just makes my skin look naturally healthy and youthful while feeling so lightweight too. I was lucky enough to be sent a full size of the product, in Shade 8 which is a touch dark for me but I make it work. I've been using this without powder too, except a little on the t-zone after a few hours of wear. And most days I've been using this as a tinted moisturiser, with no other makeup, just me and that beautiful glow! I've also been loving The Ordinary Serum Foundation which gives the most natural looking glow to the skin. This light-medium coverage foundation has a very runny texture and feels like nothing on the skin. It evens out the complexion without hiding skin. The dewy finish of this can make me look super oily super quickly but I'm enjoying it (of course I have to use blotting papers with this foundation). This isn't the longest lasting foundation but makes for a great everyday base. Also, with the combination of primers I mentioned earlier, it lasts a little longer on my oily/combo skin than it would if applied alone. Finally we have the classic NARS Sheer Glow Foundation, which has the highest coverage of the bases I mention here. 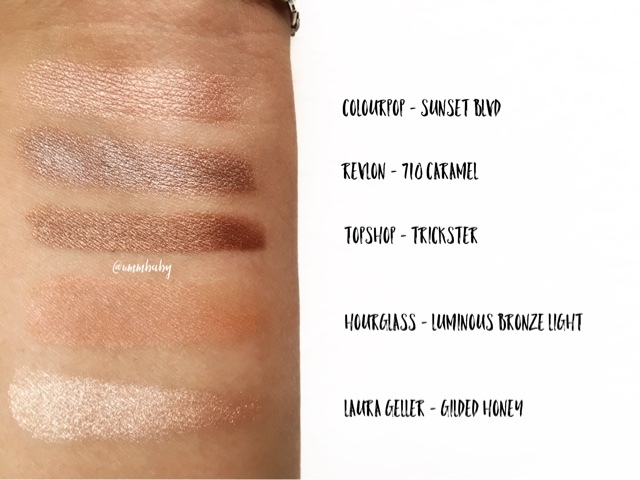 The sheer in the name refers to the lovely glowy finish which isn't full on dewy but rather a very soft radiant finish making the skin appear brighter, smoother and evened out. This has great lasting power on my skin, which is why I reach for it so often as it allows me to enjoy a glowy makeup look without worrying that it will disappear quickly. Again, I've stopped powdering my entire face when using this, letting myself enjoy the unparalleled radiance that my natural oiliness creates. I only need a light dusting of powder along my t-zone during the day to keep it on the right side of glowy rather than greasy. You hear powder and you think matte. It's only natural given the purpose and nature of powder. Thankfully there are some amazing powders available to help control shine without making the complexion look completely flat. Laura Mercier Candleglow Sheer Perfecting Powder is a sheer makeup setting and perfecting powder that gives a soft, diffused glow. It can be packed on for more coverage but I prefer to use it with a large powder brush to keep makeup in place without mattifying my skin. My favourite powder is Charlotte Tilbury Airbrush Flawless Finish Powder which is a very fine textured powder that melds into makeup to set it in place. It has a gorgeous blurring effect, never feels drying and stops skin from appearing shiny or oily while also reflecting light enough to stop the skin looking flat. I pat this on using a smaller brush to lock makeup into place especially on my t-zone. 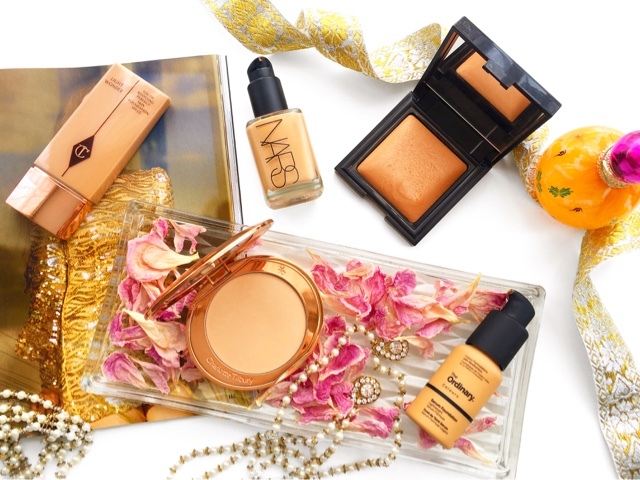 Of course the ultimate way to enjoy a glowy makeup look regardless of skin type is with some highlighter and bronzer. 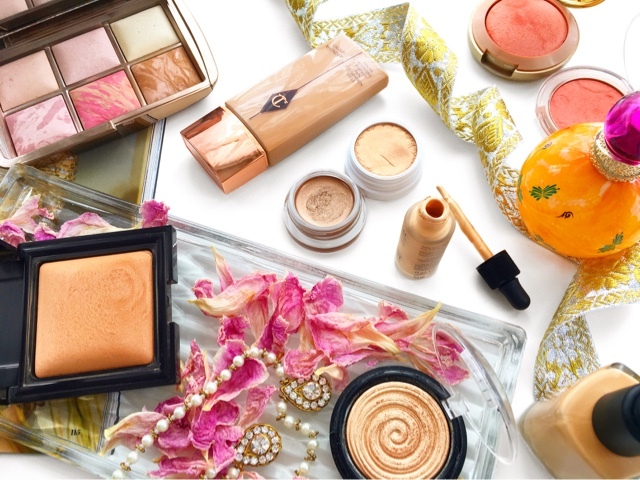 Bronzer instantly adds that irresistible sunkissed glow and that look of good health we all desire. 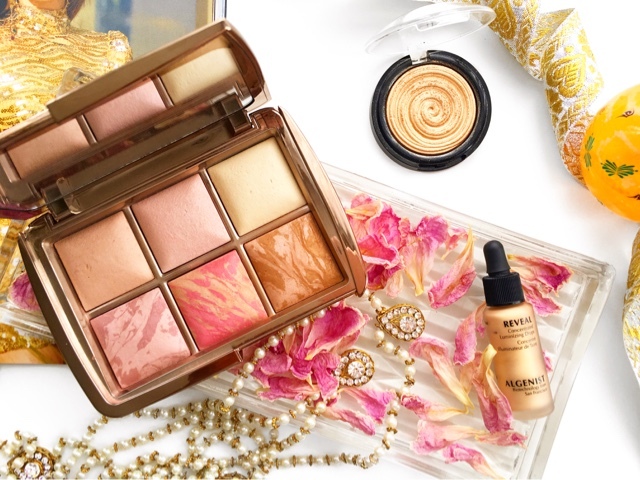 Highlighter is a beautiful albeit more dramatic way to add that luminous finishing touch to makeup. 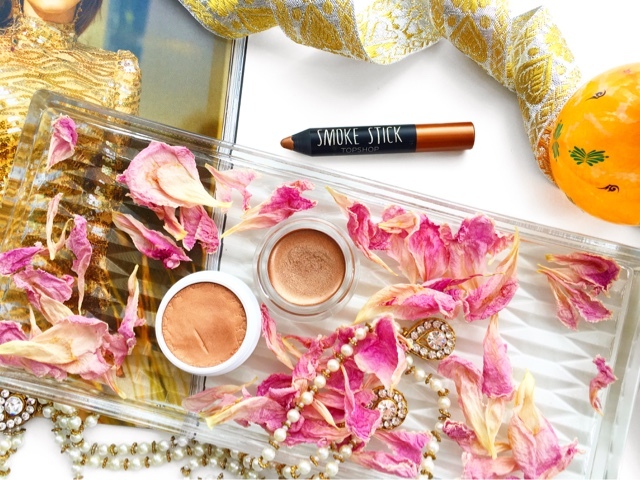 I am a huge fan of matte bronzers generally for adding colour and dimension but for a truly glowing makeup look, I love a bronzer with a little something something to catch the light too. The perfect bronzer for this that works on my skin tone is Hourglass Ambient Lighting Bronzer - Luminous Bronze Light. In their signature super fine powder form, this balances a soft bronzing powder with swirls of illuminating particles. I sweep this on my cheek bones for an even, natural looking glow although you can lightly apply this all over the face for a more tanned appearance. There was a time I avoided highlighter altogether for fear of it making me look oilier than I already am. Now I struggle to do my makeup without it. My favourite right now is the gorgeously designed Laura Geller Baked Gelato Swirl Illuminator - Gilded Honey*. The buttery soft formula is so easy to work, melting into the skin so it never looks powdery or chalky, and the result is the prettiest golden toned glow that leaves an almost wet look on the skin. The shade isn't overly gold and the formula isn't overly glittery which is why I love it so much and reach for it over all others these days. A different style of highlighter that I'm also enjoying is Algenist Reveal Concentrated Lumanizing Drops - Champagne which is a liquid highlighter that I dot and blend out on the high points of the cheeks for a beautiful sheen. Similar to the L'Oreal Primer, this golden fluid can also be used like a primer and reflects the light and gives the skin an undeniable all over radiance that shows through any base product. The easiest way for oily/combo skin types to add some glow to a look is on the eyes and I'm finding myself steering away from all matte eye looks nowadays. My favourite shimmery shadows are creams as they are easy and quick to use. The three I'm loving all give a subtle sheen to the lids with no glitter in sight. Colourpop Super Shock Shadow - Sunset Boulevard, Revlon ColorStay Crème Eye Shadow - 710 Caramel*, Topshop Smoke Stick - Trickster. I love the way these brighten my eyes and make me look more awake. These are the perfect way to add that extra light reflecting touch to a glowy makeup look. And of course I forgot to include the Algenist drops..doh! I haven't included any lipsticks here because I feel like you can still enjoy a glowing look with matte lips or transform any matte lip to a more glossy lip with some lip gloss or even lip balm. There's no particular colour I'm reaching for to go with these products and I've been using so many different ones so I've just left lipstick off completely. I hope you've enjoyed learning about how I enjoy luminous and radiant makeup despite having oily skin. I'd love to know what products you rely on to help you enjoy glowy makeup.